It has been an incredible last couple weeks! 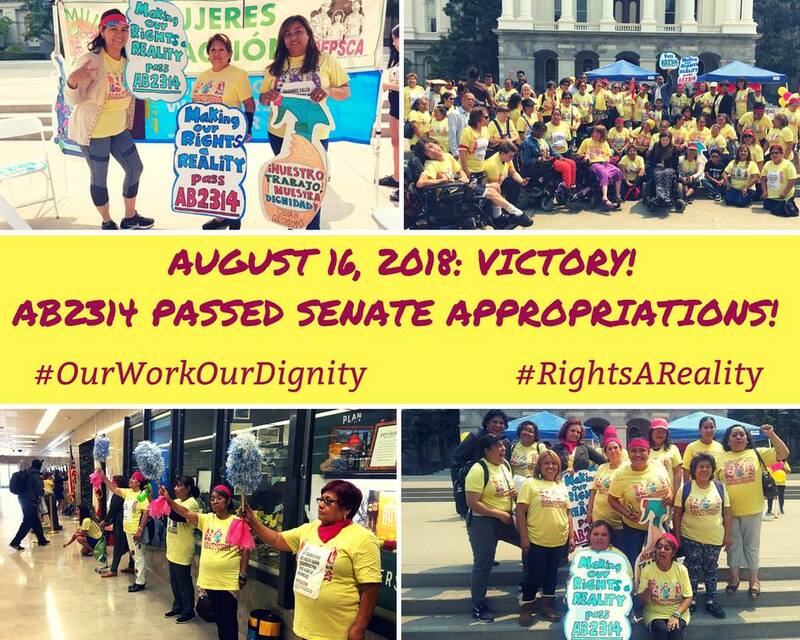 On Wednesday, August 8, more than 100 domestic workers mobilized from across California to Sacramento for the Our Work, Our Dignity Lobby Day to advocate for AB2314 (Ting), The Domestic Worker Rights Implementation Act. Before meeting with more than two dozen of the state’s legislators throughout the day, domestic worker and employer leaders created a living exhibit with their own bodies on the first floor of the capitol. We held the exhibit for 7.5 minutes to represent the estimated 75,000 domestic workers who suffer from wage theft and are paid less than minimum wage. Click here to watch the video of domestic workers and employers taking creative action inside the capitol! 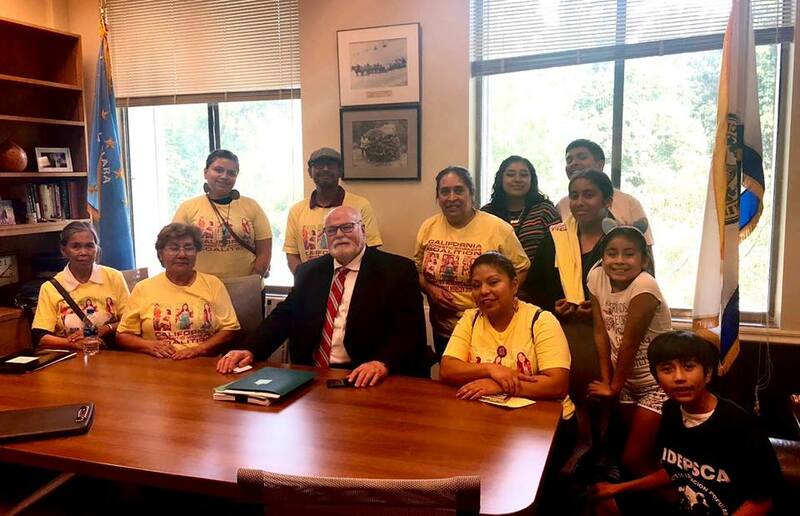 – Ana Miriam, Member Leader of IDEPSCA in a legislative visit with Senator Jim Beall. 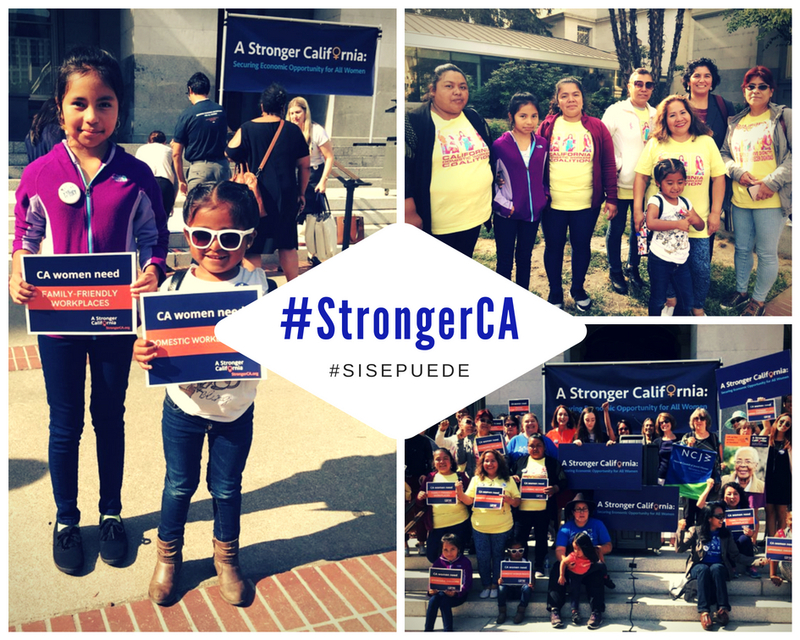 On August 14, our domestic worker leaders were again in the capitol to join our sisters at the Stronger California Advocacy Day. We are proud that AB2314 was adopted as a priority for the Stronger California Advocates Network’s policy agenda to advance the economic security of California women. Together we advocated for the rights of all California women, workers, and families. Then, on August 16, we heard the incredible news that AB 2314 passed out of Senate Appropriations! We have taken one more step toward making domestic worker rights a reality! We know that this victory is only possible because of the leadership, creativity, and commitment from caregivers, housecleaners, nannies and domestic employers across California who have boldly united to demand dignity and the enforcement of domestic worker rights at a statewide scale. Next stop: the Senate floor and then on to the Governor’s desk!